There have been some notoriously difficult games in the history of video gaming, like the Dark Souls series, which certainly has a reputation for giving players a hard time. And while those who enjoy hard to beat video games can pick up titles like Dark Souls 3, there’s also the possibility of trying a game’s toughest difficulty levels when one truly wants to be challenged. And the upcoming Doom action video game by id Software will have a truly challenging difficulty level appropriately named “Ultra-Nightmare”, which not even the developer has been able to beat yet. Marty Stratton, Doom’s executive producer, and creative director Hugo Martin told IGN that this difficulty level has led to a competition at id Software’s offices, with members of the team attempting to get as far as possible in the game, but no one has even come close to completing it yet at its highest difficulty level. The original Doom game, which was released back in 1993, also had a very hard difficulty level named “Nightmare”, in which enemies would move faster, hit harder, and even respawn. 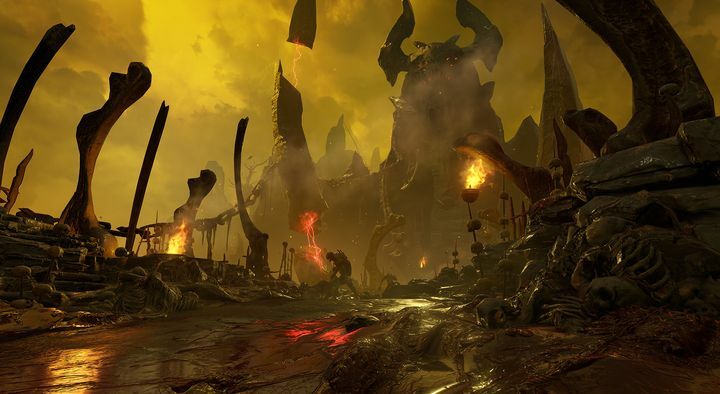 Suffice to say that people who finished the game on this difficulty level were entitled to some serious bragging rights… But the new Doom’s Ultra-Nightmare adds a twist to Doom’s classic Nightmare difficulty: permadeath. That is, players only get one life and will have to restart the game from the beginning if they get killed at any point. Other games like Fallout 4 and Far Cry Primal have also added ultra-tough difficulty through patches recently: Fallout 4 will soon feature a “Survival mode” on consoles which will make staying alive in the Commonwealth a much trickier proposition, while Far Cry Primal now has a similarly difficult mode and permadeath too. In the end though, while harder difficulties are great for multiple replays, most players will be happy to enjoy Doom at the default difficulty level, so it would be a great thing if it’s single player campaign mode and multiplayer manage to be on a par with the best first-person action games of recent years when the game is released in May.